New Product: 32 Via dei Birrai « Liquid Assets Limited: Wine & Beer! 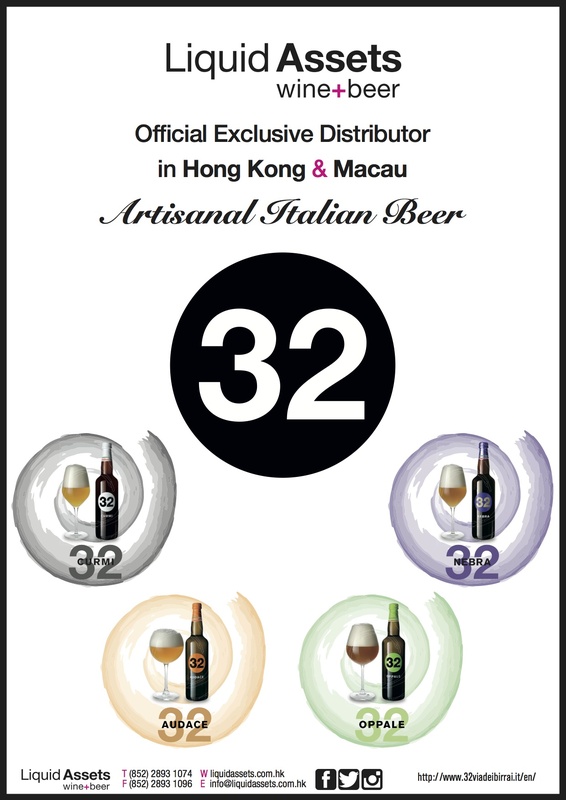 Liquid Assets Ltd is proud to be the exclusive distributor in Hong Kong & Macau for 32 Via dei Birrai – artisanal Italian craft beer. The 4 styles of Curmi, Audace, Oppale and Nebra are sure to complement a variety of food pairings and savoured in a chic ambience amongst good friends.